Recently our internet went down for a couple weeks. At first it seemed to be such an inconvenience and had me feeling some real “withdrawals”. As time went on though, I felt myself feeling so present to my life, so productive and just plain free! After it reconnected I realized I was left with some fresh perspective. It helped me to honestly and humbly admit to myself how much of my real life was being given to my online life. It also helped me to consider the addiction that the internet world can be and to recognize my tendency to use time on line as an escape of sorts. ouch. So I decided it was time to give up the internet completely ~ the blog, other blogs, facebook... all of it and just sink my teeth into life! I felt done sacrificing time with my girls, my love and myself to be on line. I spoke with Maureen about all of this and she shared that she had been feeling similar. We agreed it was time to jut let it all go and focus on our personal lives with more dedication and attention. 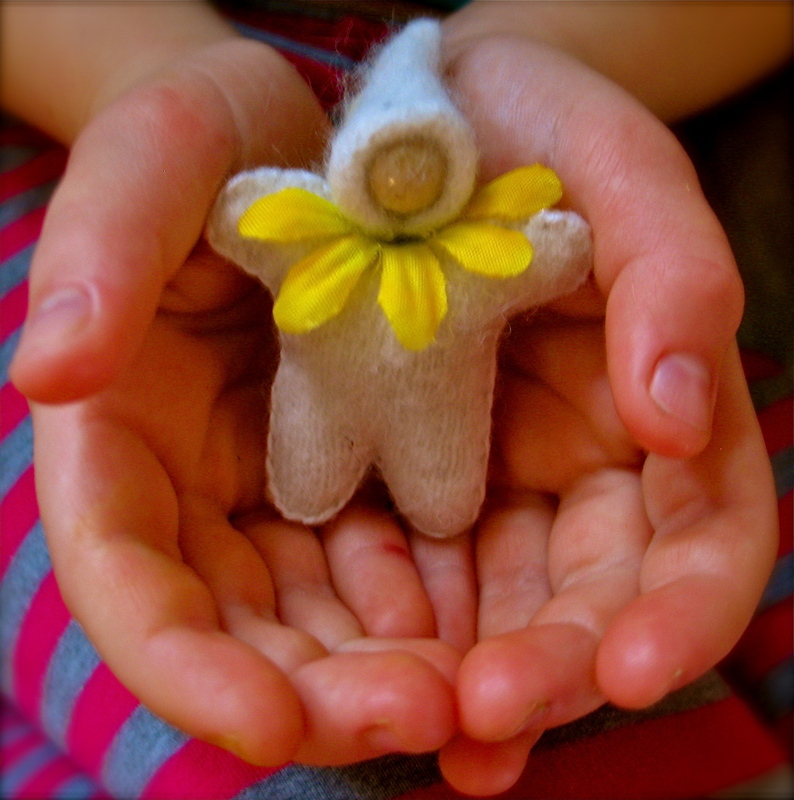 Can I/ we really just let go of it all… Is this the right thing to do…. On and on my head hummed. So I took this indecision and decided to run with it. literally. (I have recently started running again and find this time of my day is truly medicine for my soul ~ it seems to calm the chatter in my brain long enough for my intuition to be heard) And after one of these runs I finally had real clarity. My inner wisdom seemed to say that what I really needed to do was to learn discipline. That there was no need to be so extreme in my decisions but rather a need to use this new found clarity as an opportunity to exercise discipline in my life. Life as a blogging/homeschooling/working mama is such an intricate dance and requires real balance (something I feel I have been lacking) in order to be productive and peaceful. But I feel there is a way. So I am setting out on a journey to find balance. A journey that I hope can allow me to feed my love of being creative and being inspired by all of your creativity ~ while keeping myself focused and fully present to my moment to moment life. One of the first steps I have taken was to buy myself an egg timer. I decided it will live next to the computer and will be wound up to a reasonable time each time I go on line and when that bell goes off… it is time to get off! Whether I feel “done” or not. I also decided that my time on line should be reserved for times when I know all my priorities are in check ~ after my life has been fed, my homeschooling is done, I have made time for myself to be active and I have had quality time interacting with the life around me! I am grateful for the gift of my unintended internet fast and plan to revisit it again ~ whenever I feel like my real life is taking a backseat. 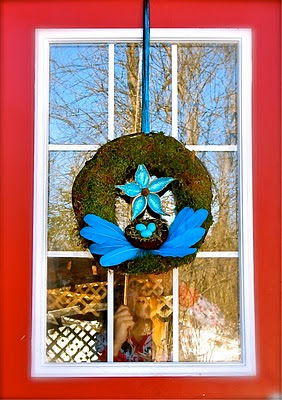 I have been so inspired by the creative beauty being shared daily in this big bloggy world. I value being a part of this kindred spirit community and look forward to continuing sharing in it ~ with a new found commitment to moderation and discipline! So I put this question to all you blogging mamas out there ~ How do you do it? How do you foster balance in your full lives? 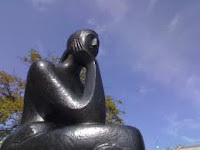 Maureen & I welcome any words of wisdom you can pass our way…. 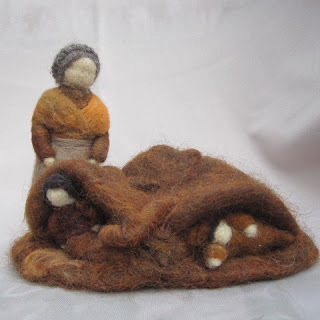 Taking Care of Mama Monday...revisited! If you've been keeping up with our goings on at all, you may remember that I declared this year my "taking care of mama" year. Yes...I had things I needed to do...lose weight, carve out some mama time, and persue some of those "to do's" that have been on my guilt ridden back burner for years and years. Me in the morning just about to leave and very excited!!! This past weekend was a hands on lesson in self care. I took a Friday night off work, and got up bright and early Saturday and headed 2 hours to Ottawa...BY MYSELF!!!!! oh...did I mention I was BY MYSELF!!!!!!! Can you see why I'm scared of city driving? 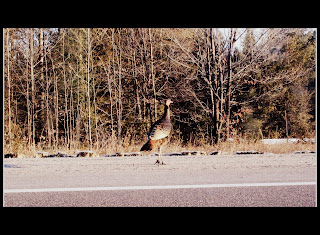 These are the things I contend with on my daily drive...wild turkeys and fields full of deer!!! 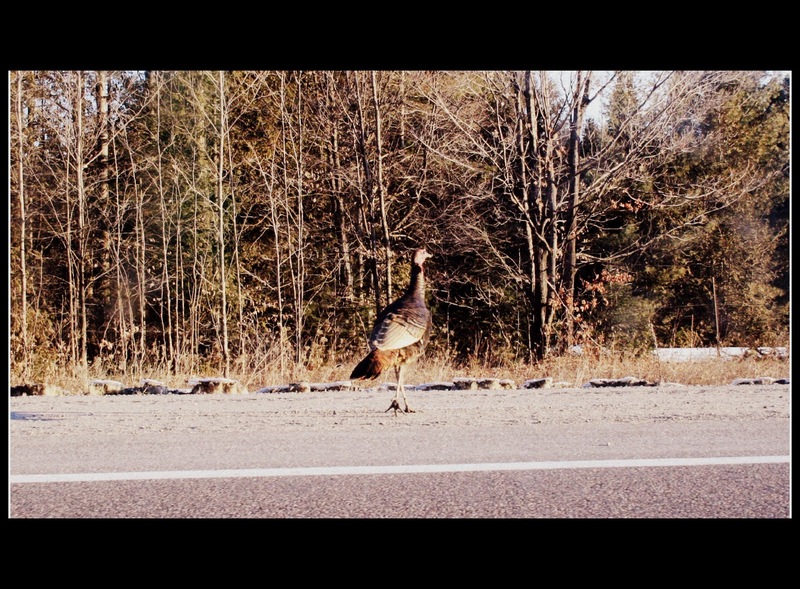 I took this picture on my way to Ottawa! Now...here's my confession...I haven't driven in the city in 5 years...I actually hate city driving, and I've developed a bit of a "phobia" when it comes to driving on those big, multi laned highways. I purposely left early so I could avoid the city traffic, (and ease my way back into city driving)...well...I did it!!! I actually let out a hoot, "WAHOOOOOOO!!!!!". At first I felt a bit crazy for yelling out loud in the car, then I thought...what the heck...I'm alone in the car...driving on the 417..."WAAAAAAHOOOOOOOOO!!!!!" I also had some time to meet a fellow blogging mama...we had a lovely "blind blog date" over coffee. 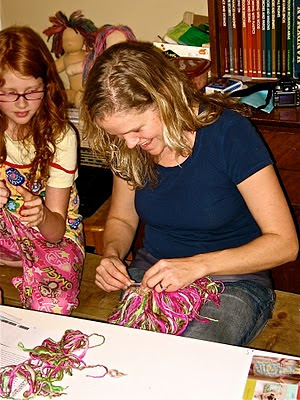 You know you can just tell that someone is a kindred creative soul, and seeing this lovely gal sitting there sewing little wool lambs...I knew I was in the spirit of a creative kindred! 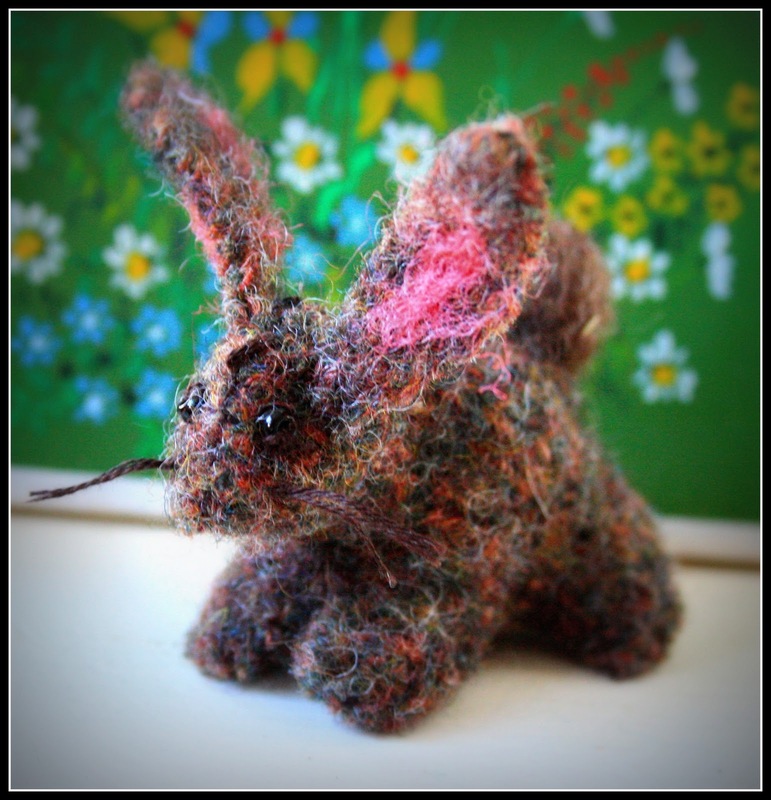 She gifted me with a lovely little bunny from her new etsy shop LittleWool. 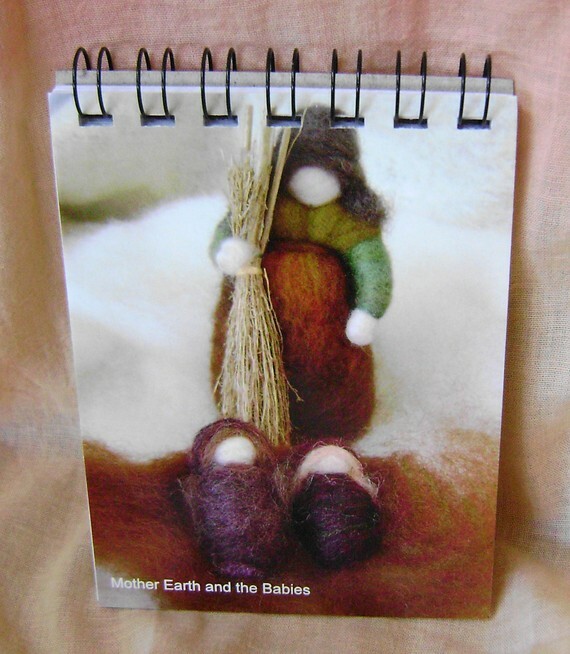 If you're in the market for a lovely gift for your Easter basket you should check her out, her creations are inspired and beautiful, (and besides...we should all do our part to support handmade)!! 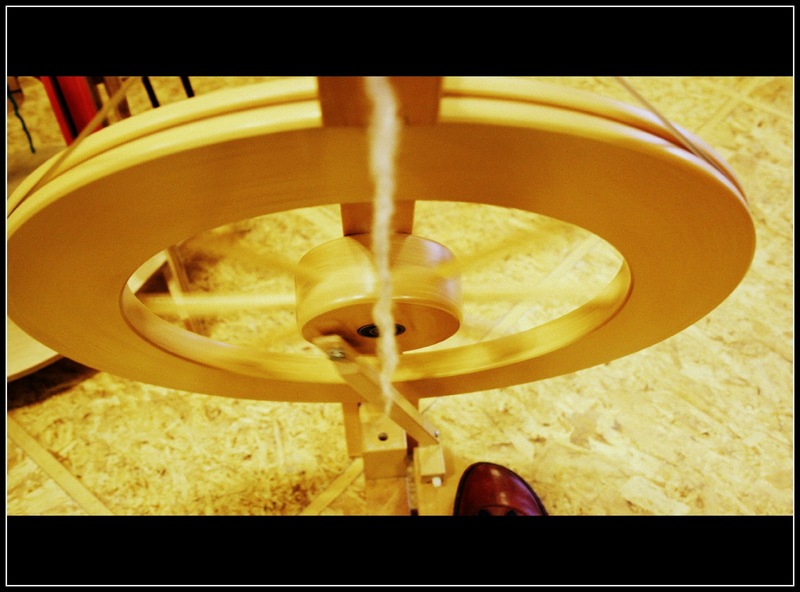 My main reason for going to the city though was to indulge in a totally delusional fantasy and try my hand at spinning wool! There was a beginners spinning class happening, and I had signed myself up. It was a wonderful class and I managed to spin some very errrrr "artistic" yarn. 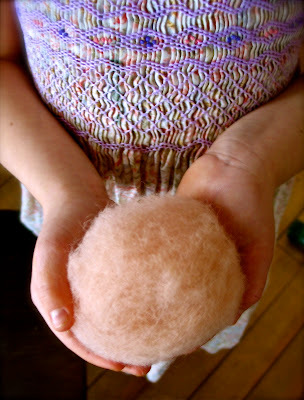 I have new admiration for all your spinners out there who make it look so effortless, and who produce such lovely yarn. I think there will be a wheel in my near future...I've started a savings jar!!! 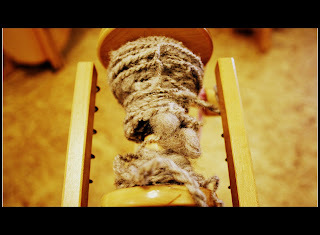 Of course I have my friend over at the Knitty Gritty Homestead to thank...she sat me down and taught me how to knit...now she's unleashed this fibre monster who just can't get enough!!!!! 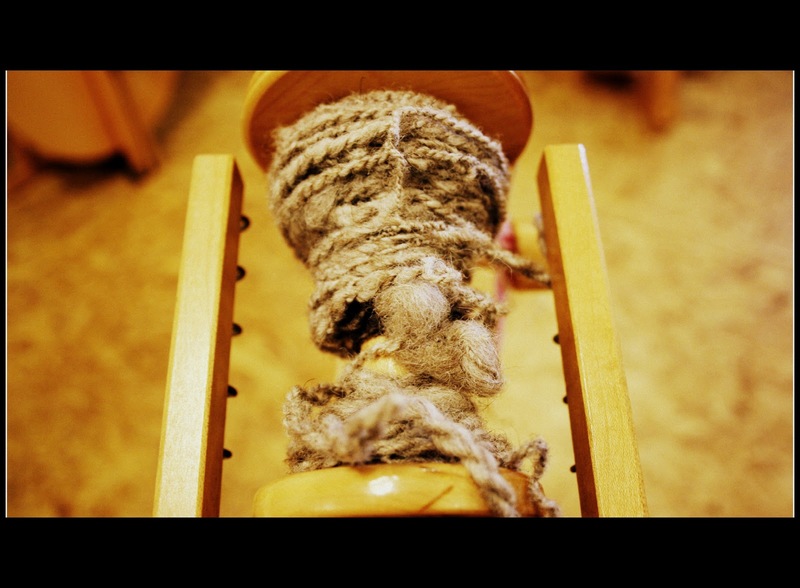 Here it is...my super art yarn!!!! My reason for sharing all of this is that all of the things I did on this day scared the hell out of me...from driving on the highway, to meeting someone new, to taking a class by myself in an unfamiliar city. At the end of the day I felt such a sense of accomplishment...a holy sh** I actually did this feeling!! This year has been full of little things...I've started running, (and signed up for a 5k run in May), I've lost 24 pounds to date, I've been taking time to learn new things, and make the time to enjoy the things I LOVE...none of these things make me less of a mama...instead they make me take notice of myself as an important, (and dare I say), integral part of this family...this mama is PROUD to exist and happiest when everyone is cared for...including myself! Here's to doing the things that scare the hell out of us!!!! Let's start a revolution mamas!! 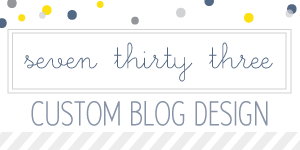 Our First Fabulous Sponsor and a Giveaway!!!! 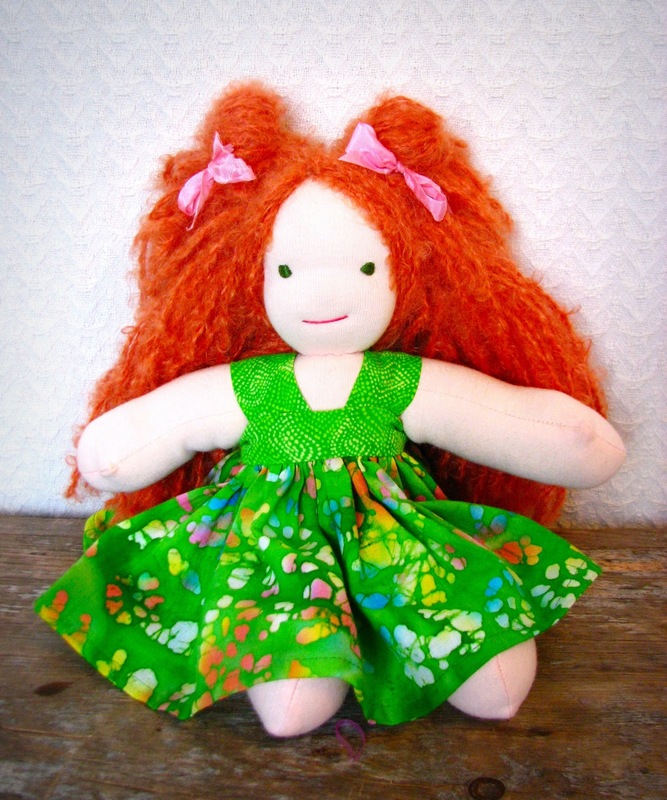 and oh...for the love of dolls!!!! 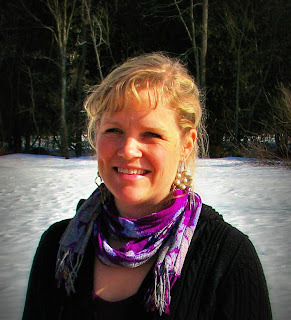 Rebecca: I live with my husband and 9 children in the "back woods" of Canada. I grew up here, and I love it. I love that I can sit out on my back porch in the early morning and hear silence. I love that I can walk down the road to a sparkling, clean lake to swim. I love the drama of the seasons. I love that I can see and feel God in His creation that surrounds me. Creativity was always encouraged. It was a very "organic" process. 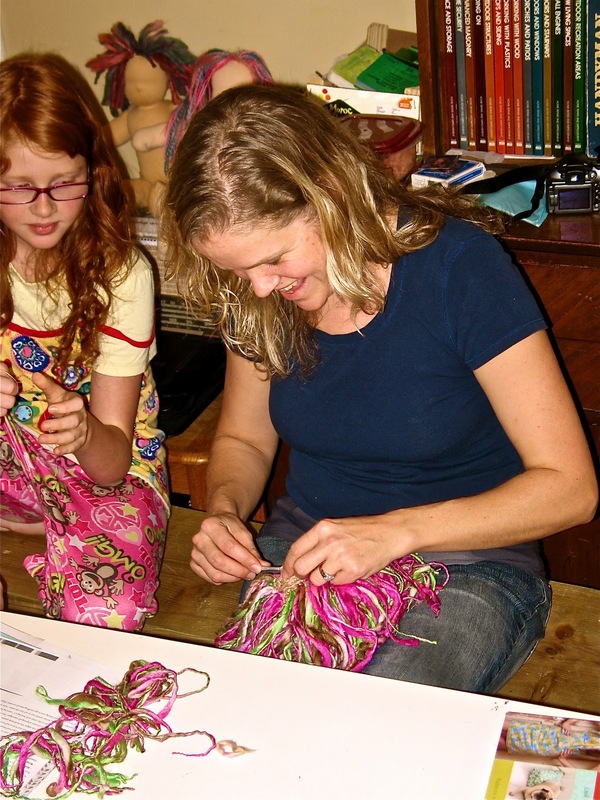 We had trunks of fabric scraps, yarn and craft supplies always at our disposal and we were encouraged to just try stuff. 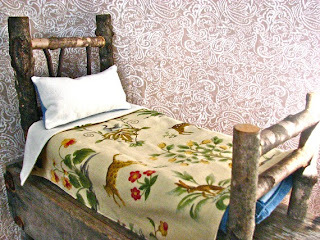 My mother would teach us the skills necessary, and then give us free reign to design and create. And of course she loved every single project even more than the last! A woman can always use another pot holder, right?! Recycling or "upcycling" as some now call it, was and is just a part of life in a big family. Things are passed down...re-used and re-purposed. We often shop second hand. There is something so ultimately satisfying in taking someone else's "junk" and making it into something funky and useable all over again! So my biggest passions in life, in a nutshell? 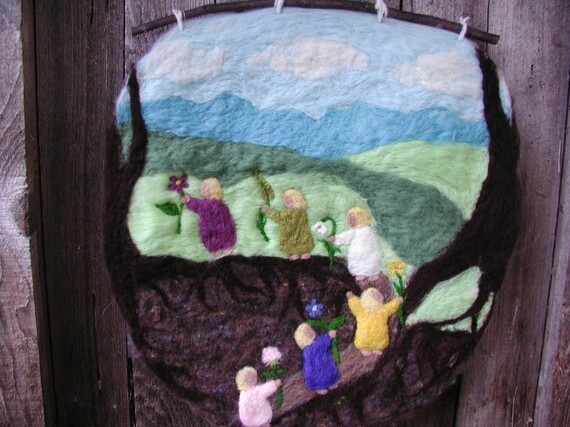 My family, my God, the master creator, the beauty of nature, working with my hands and being creative and being a good steward with the resources I have been given. What inspired you to open your Etsy shop "Handmaiden Canada"? 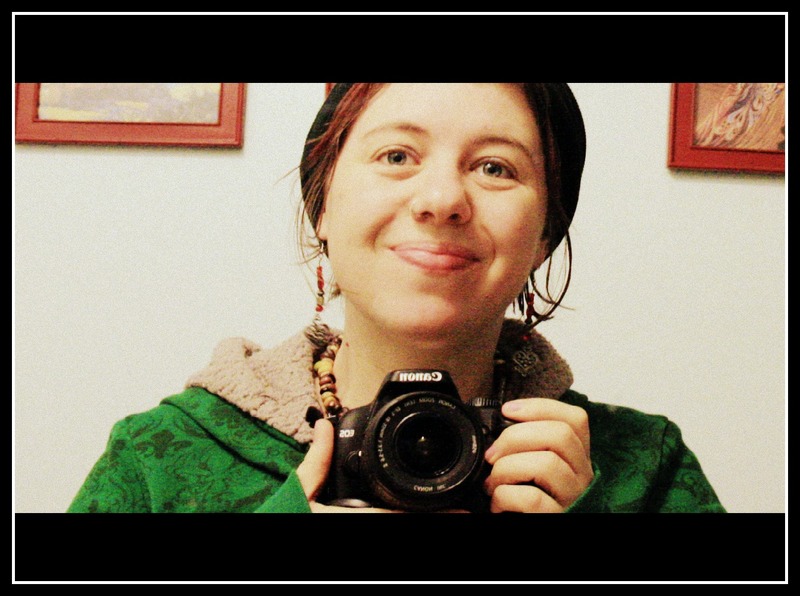 Rebecca: After six months of my husband being off work with ulcerative colitis and awaiting imminent surgery, and I with a little one still breastfeeding, I started to rack my brain, trying to think of a way I could continue to stay at home with my children and still make some sort of an income. I have been a stay at home mom for the past 18 years, and though I'm so grateful I've had the opportunity to be home with my children during these tender years, I do feel I am a little behind, with very little "work experience" under my belt. Don't get me wrong...I have been WORKING...motherhood is definitely not for the faint of heart, but just not in ways that the world would necessarily recognize as valuable. So what to do? I decided to start a business from the home. A friend of mine introduced me to the website www.etsy.com and the lightbulb went on!! This was something I could do! I opened a shop and called it Handmaiden Canada. Now, what to sell? I started to experiment...I started knitting bags and then felting them, I then started making things with recycled, felted sweaters...then I sewed some things, then I discovered Waldorf Dolls!! 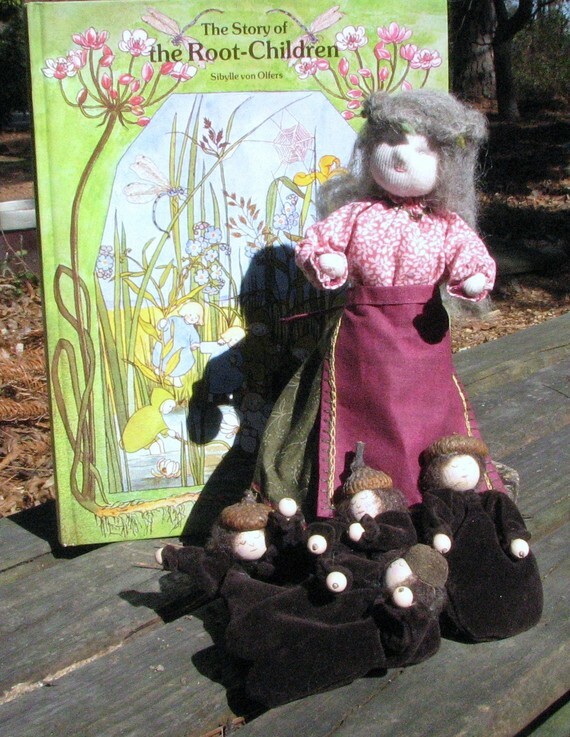 The ladies of Twig and Toadstool, Shanti and Maureen, actually gave me the idea to make Waldorf Dolls. I have always loved dolls. I think I actually played with them until I was about 12 years old. Shhh...don't tell anyone...everyone thought I was just dressing them for my younger sisters! 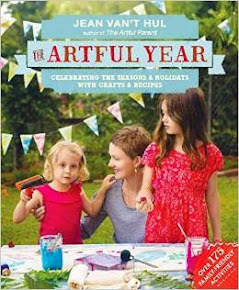 One beautiful thing that has come out of all of this, is that I am starting to see it turning into a family endeavour. 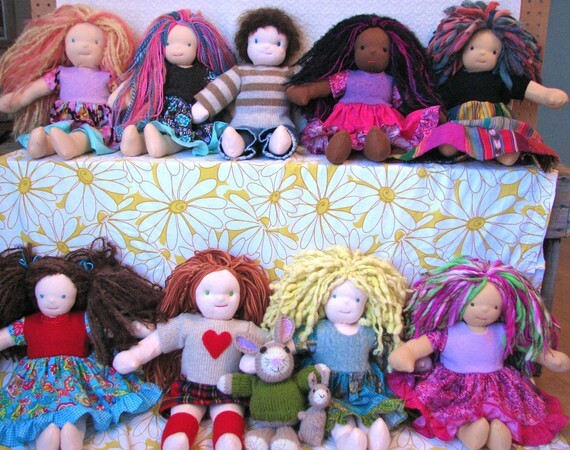 My girls know how sew, how to attach the doll's hair and they can help with the stuffing, my husband does some of the shipping, my 14 year old son is great with the camera, all my kids are more computer savvy than I am (and love to give advice) and I have cute models of almost every size from age 1 to 17! It seems like a perfect fit. I look forward to seeing where things go. Thank you Rebecca for telling us about yourself and your business...we wish you SO much success in this new endeavor of yours. Now...onto the giveaway. 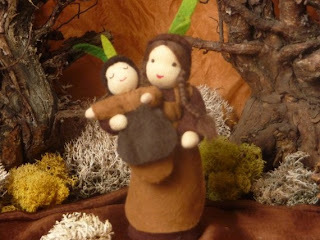 You can win this beautiful Waldorf doll, made with love by Handmaidencanada. and let us know what your favourite item is. facebook. You have until this Sunday at midnight to enter. We'll announce the winner on Monday. The winner is Rachel...we'll be in contact with you for your shipping info soon. (fyi...we use random.org to pick our giveaway winners)! 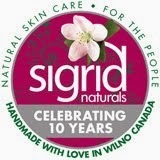 Thank you for helping us support such a great new business!! Thank you thank you to everyone who entered...for your kind and love FILLED comments and for your support and encouragement!!! Now...don't be bummed if you didn't win this one...because we'll be posting another giveaway later today or early tomorrow morning...stay tuned...after all it is our BLOGIVERSARY week, and we can do as many giveaways as we darn well please!!!! Pushing stalks through the snow. 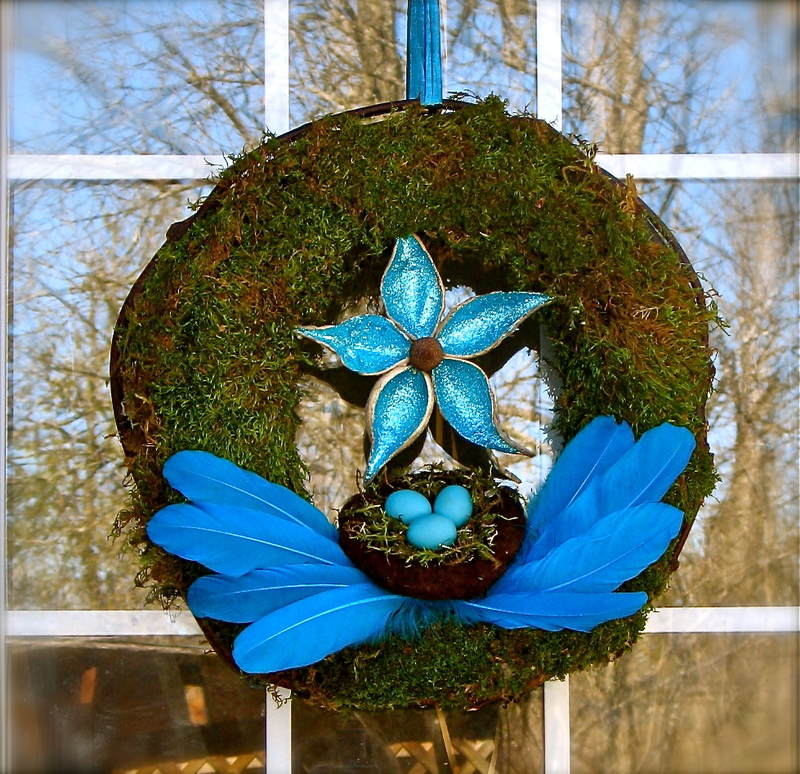 To welcome this glorious much awaited first day of spring I thought our front door was in need of a welcome wreath that shouted SPRING IS HERE!!! 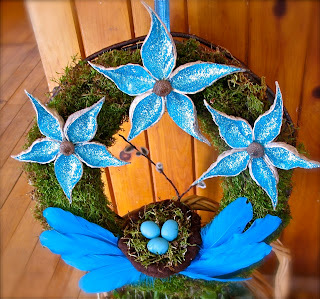 Begin by making your flower from your milkweed pods ~ brush glue on the inside, sprinkle on your glitter and shake off excess. 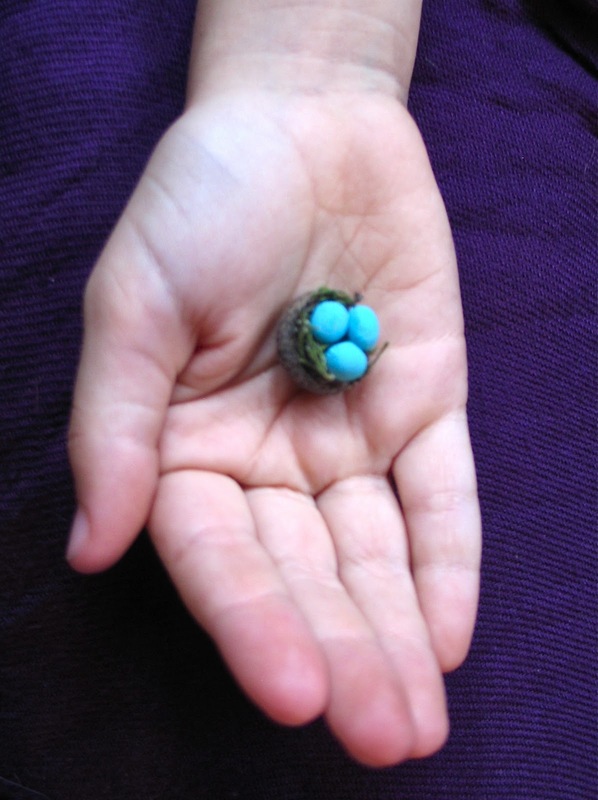 For your robin eggs ~ roll your fimo in your hands until you get your desired egg shape and bake. 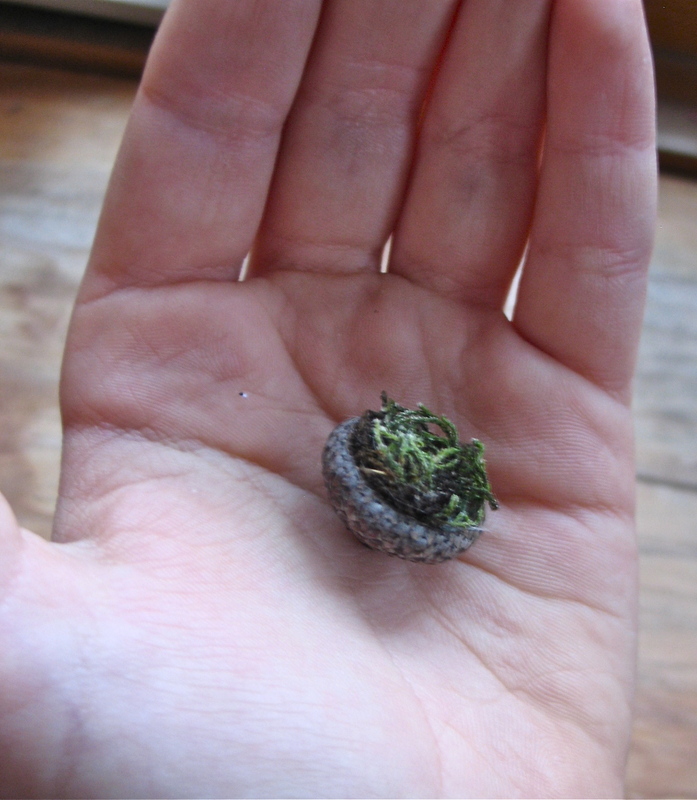 We then wet felted a little nest, filled it with moss and glued in our little eggs. We added on some feathers for a little extra splash of color and voila! Here's to NEW LIFE my friends! The Spring Nature table is slowly coming to life with some sweet little handmade creations. The first order of business was to create some "root children" to bring the first Spring shoots onto our table in these early Spring days. 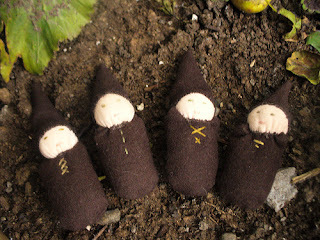 Basically they are peg dolls with a brown tube...the one with the round hat has a hat made with 2 brown "doughnut" pieces...one of the holes is for the head to fit through, and the other hole is whipstitched and some "greenery" is poking through, (it's full of wool stuffing), and then glued onto the head. 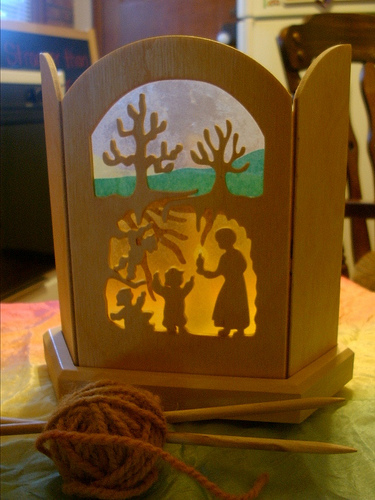 The other one has a triangular hat, with the top folded down and again some green poking through, (again glued on)! Then of course, I got totally sidetracked and started looking up "root children"...oh my goodness...look what I found!!! 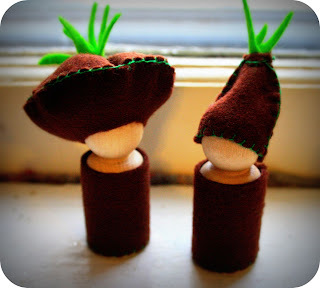 Are you feeling it...the root children are coming, the root children are coming!!! 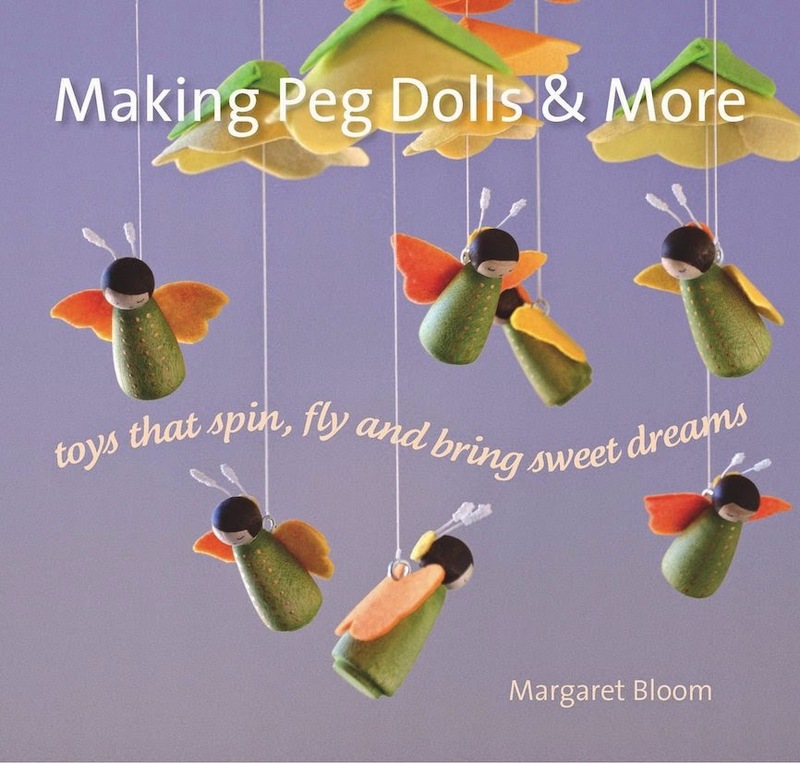 Hey there beautiful friends...so today I'm a guest blogger over at the Magic Onions, (as a part of the Discovering Waldorf series)! The post is all about Spring, with some ideas to help you celebrate the season! I'd love to know, as I notice I am seriously lacking in the Spring book department...what are some of your favourite "Spring" books for the kids? When Ruby was born, the crib that I painstakingly polished and painted, died a quick death. There I was, a co-sleeper true and true. Now, I know that co-sleeping doesn't work for everyone...and sometimes in certain circumstances it can be unsafe, but for us, it was just meant to be. The advice I got from fellow co-sleepers was, "just enjoy it...it won't last forever...it's not like your 13 yr old is going to want to sleep with you." Well...I don't know if I can wait another 5 years to find out...I have had children in my bed for 8 years now...do I love it still? Errrrrrr...not so much! I'll tell you right now that the only action my bed sees is when the kids jump and bounce on it with their friends...so in a nutshell, it ain't workin' no more! Soooo...how do I discreetly get the children out of our bedroom??? Well...it all starts with some fushia paint. I figure in order to make this work, I have to let Ruby play interior designer...we're getting bunkbeds, (at her request), the walls are getting painted "hot pink", and I'll be hard at work the next week or two making this a bedroom that 2 little girls will LOVE! 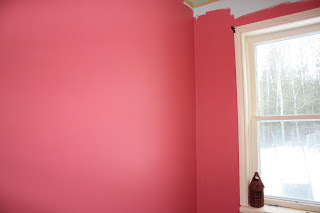 I started having panic attacks as I'm painting away...I've never painted a room this colour...it's not my choice, but then Ruby comes in and declares, "ohhhhhh, it's perfect!" and little Matilda says "I LOVE it!!" I'll be sure to share some "after" pictures, but for now, grab a paper bag and hyperventilate with me while we bask in the pink! ps...any decorating advice...advice on places to get wonderful prints, etc...would be MOST welcome! The hunger for spring is in the air! 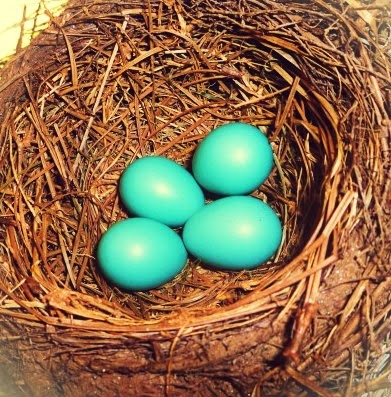 We can't wait to feast our eyes on the return of the Robins, listen to their cheerful song and hopefully get a peek of sweet bright blue eggs nestled in a nest. 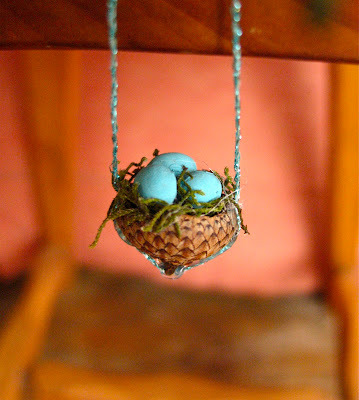 Until that day arrives we decided make some wee nests to bring spring into the home! Tip ~ I discovered that by painting on tinfoil, it keeps the beans from sticking as they dry. With your glue gun draw a fine line of glue across the bottom of the acorn and up the sides. 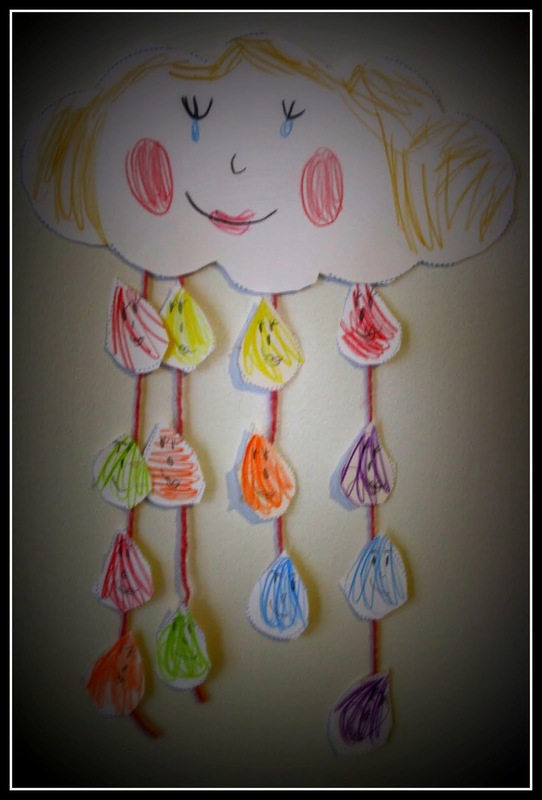 Carefully place your string into the glue and tie at the top to hang. 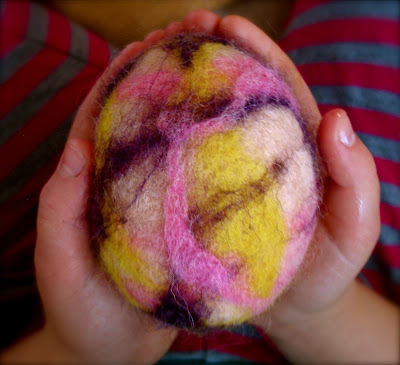 Last year I remember seeing my first felted egg over at Childhood Magic's blog (still miss the gorgeousness she always had to share!) 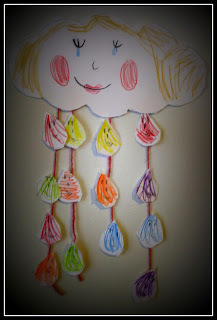 I thought to myself "what a sweet idea for spring..."
She left me inspired to give it a go. I have never felted before, so I was thrilled to see how it all worked and that it DID work! 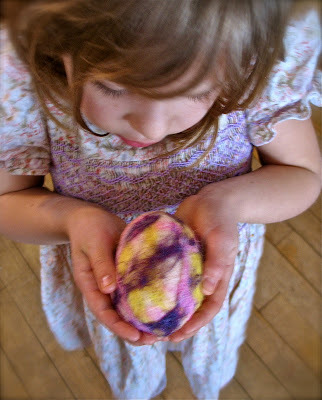 For any of you who have never felted ~ creating these wet felted eggs is simple, satisfying and definitely a do-able project (even for the little hands of your home). Continue wrapping the egg until you can not see the egg any longer ~ the thicker the wool coat, the stronger your felted egg will be. 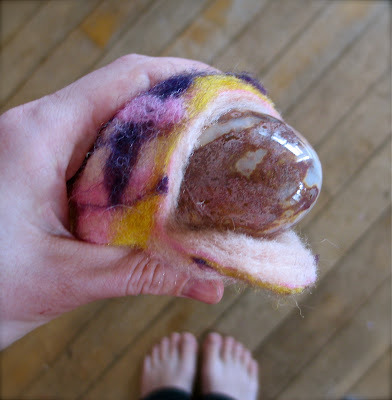 Take your wrapped up egg and pour some dish soap onto it. Immerse your egg into a bowl of very hot water. 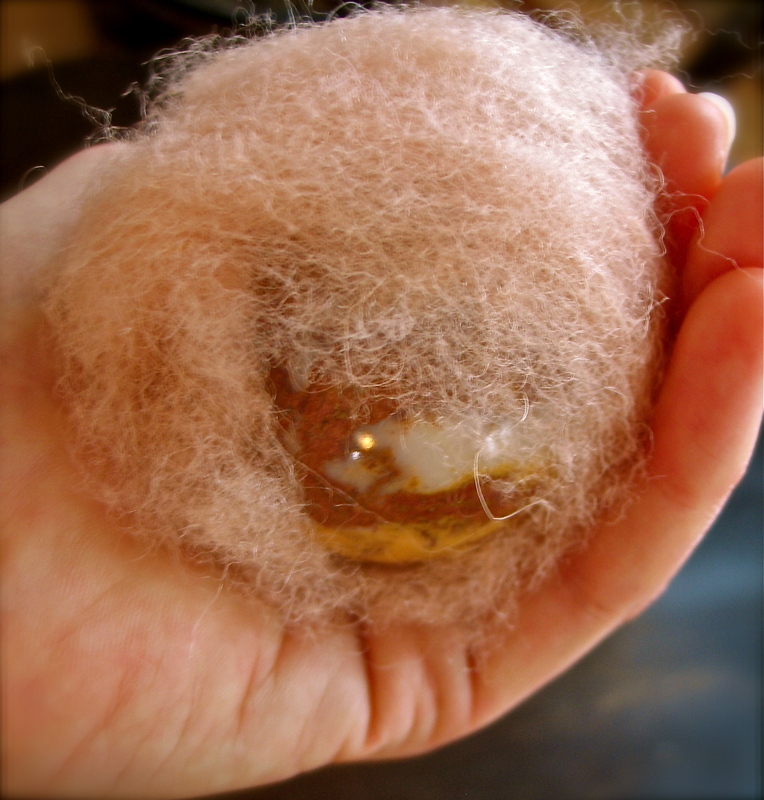 When it is all warm and soapy you can start to very gently rub the egg (the girls were giggling watching me pet the furry egg and tell it what a good egg it was ;) and gently squeeze your soapy egg. 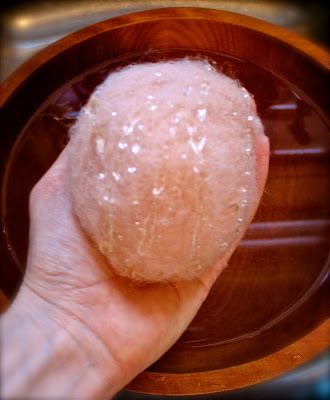 Keep turning it in your hands ~ squeezing and rubbing... squeezing and rubbing (continually dipping into your hot soapy water) until you start to feel the wool fibers binding together. 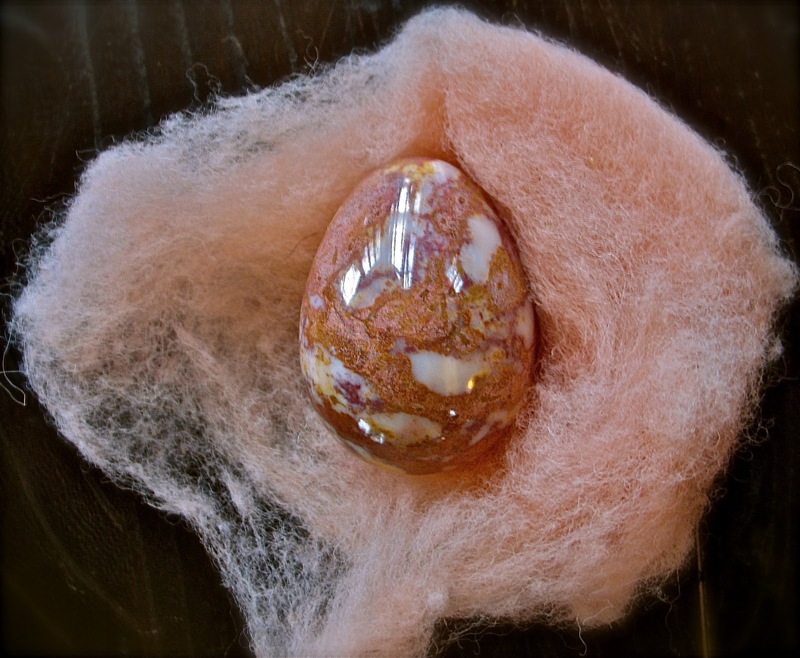 Most importantly be gentle with your little egg so that the fibers keep together ~ if you get impatient and too rough it will start to fall apart. Once you begin to feel the fibers felting around the egg, it is time to add the burst of color (if you wish!) Rip off small, wispy bits of roving and place them onto the egg in varying directions. 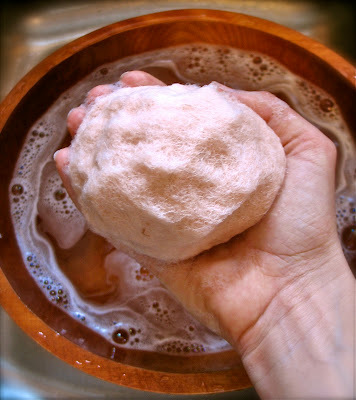 Pour some soap onto the egg and repeat the same process of squeezing, patting, rubbing, rolling and dunking. What fun! I was so thrilled to see it come together. Grinning to myself ~ it works it works! Now rinse out the soap. Dip it into cold water to help strengthen and tighten the fibers. Wrap it in a cloth, squeeze out the extra water and place it somewhere to dry. 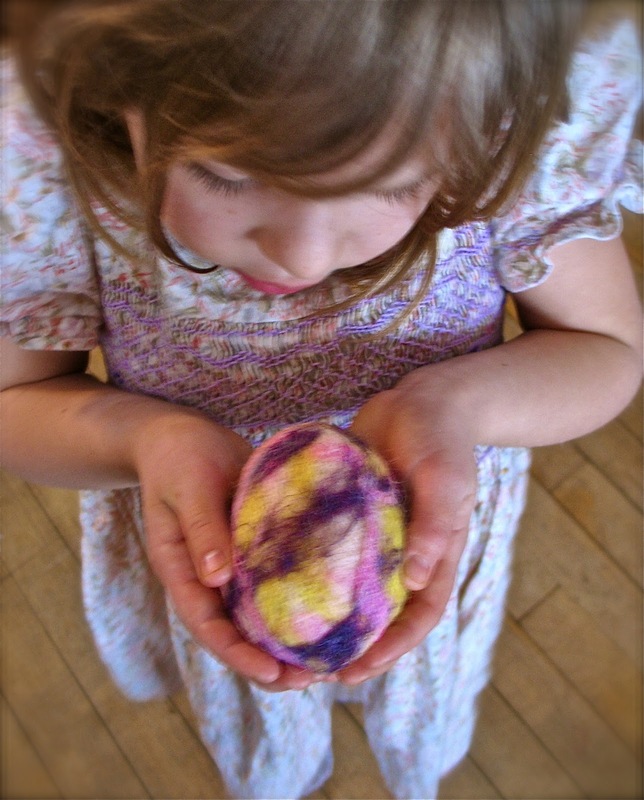 You have a felted egg ~ hurrah! 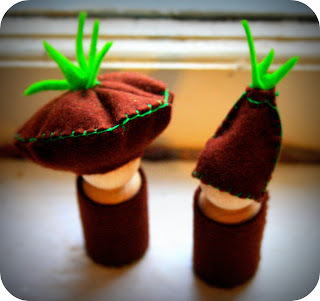 and let your little egg be birthed from her woolen world! 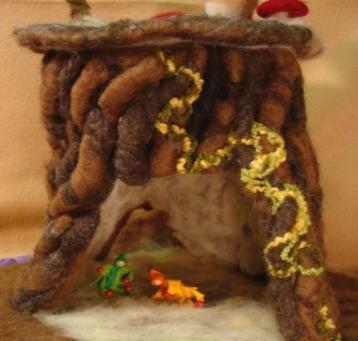 You can then blanket stitch around the openings (making it much more durable for play). 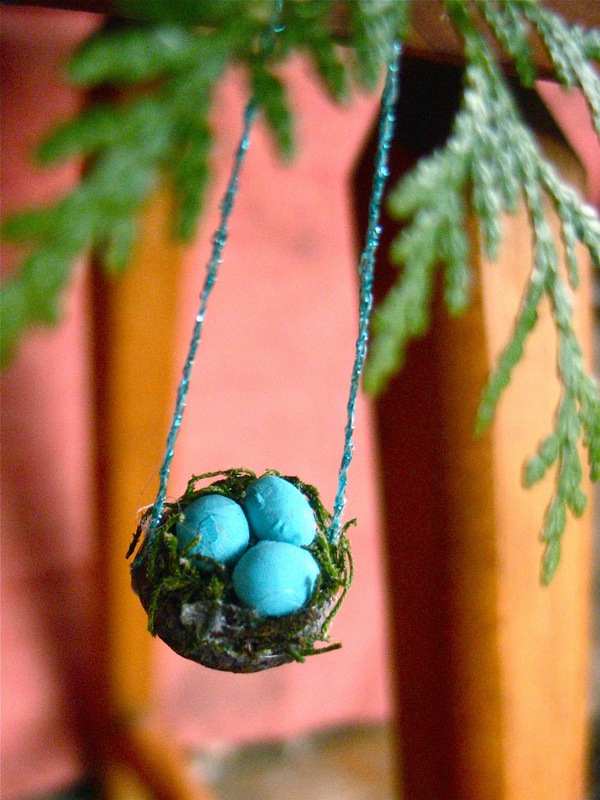 We decided this little egg was in need of someone to make a home of it ~ thus wee blossom baby appeared. 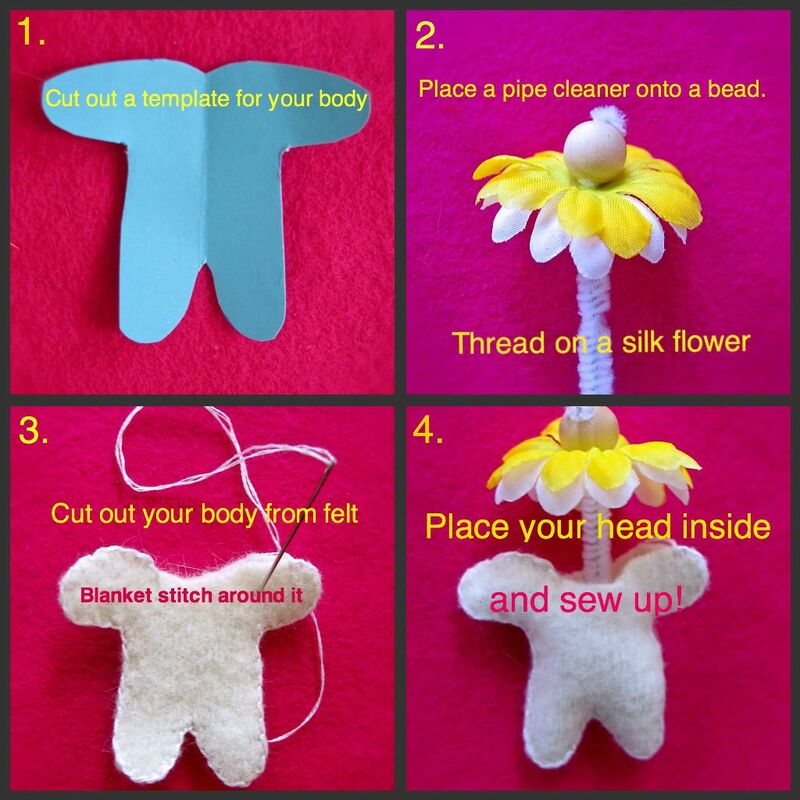 Sew up a little triangular piece of felt for the hat. Glue it on ~ and Voila ~ Blossom baby! and slipped off into her enchanted realms. lt is time to unwrap again! 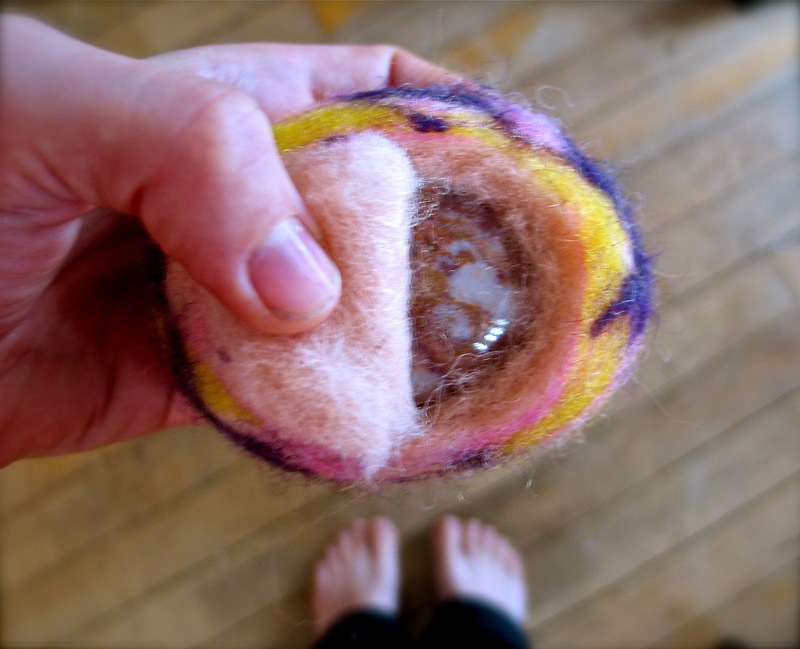 Thinking more of these felted eggs shall be appearing in our home in the coming weeks! P.S. 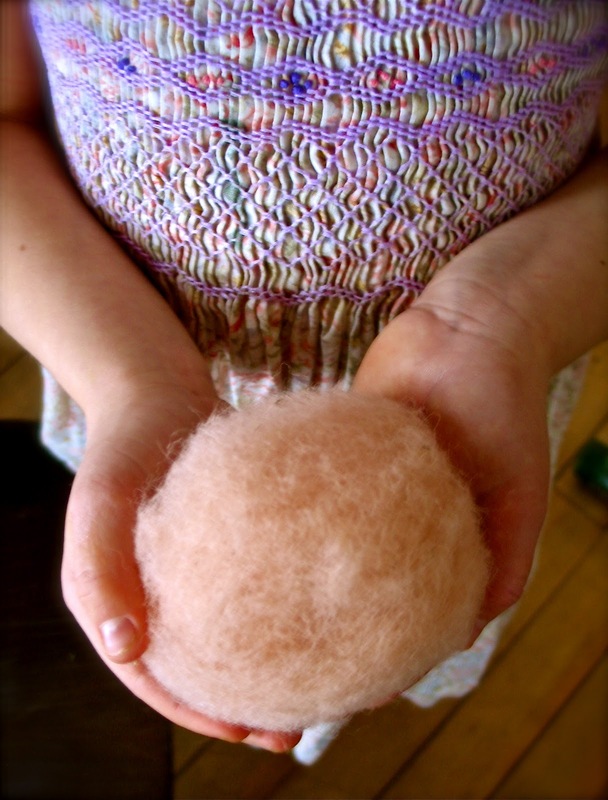 If any of you seasoned felters out there have any extra tips or advice for our readers, by all means please share! 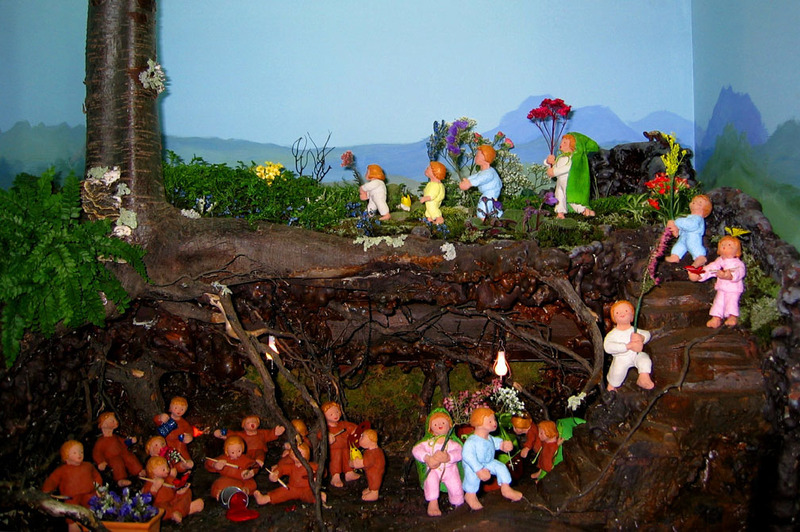 Rainbows, Shamrocks and Leprechauns! OH MY! Flower Children to Welcome Spring!